The Sunglass Fix makes lenses for thousands of sunglass models. The first step is to determine your model and size information. Once you've done that you simply search for your model, ensure we have your size, then select your lens type and colour. Once you check out we mail the lenses to you for self installation. 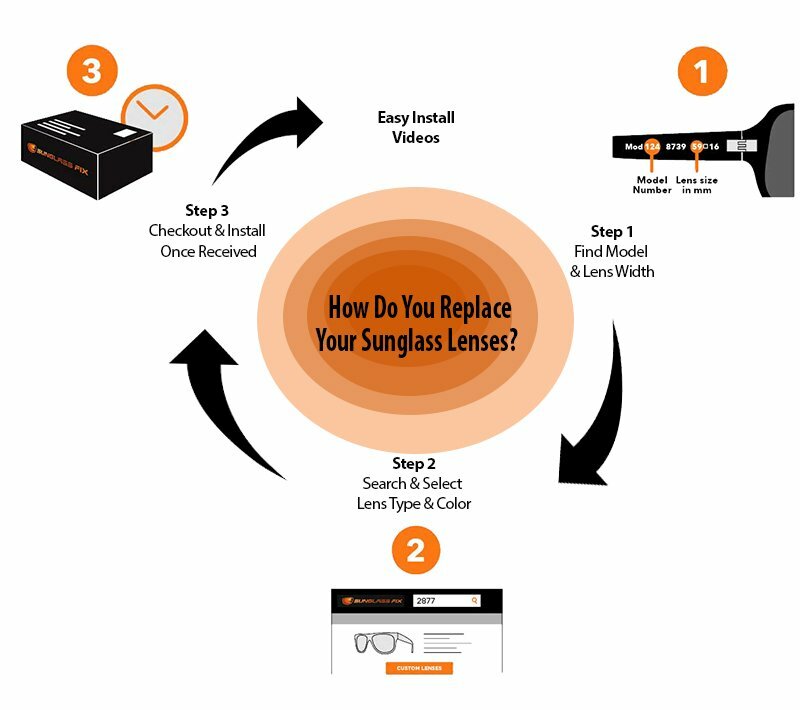 Installing the lenses is usually a very simple process once you've watch our installation videos. If you prefer to have us install them or you can't locate your model you can simply order custom made or installed lenses and we'll do it for you for the same greate price.